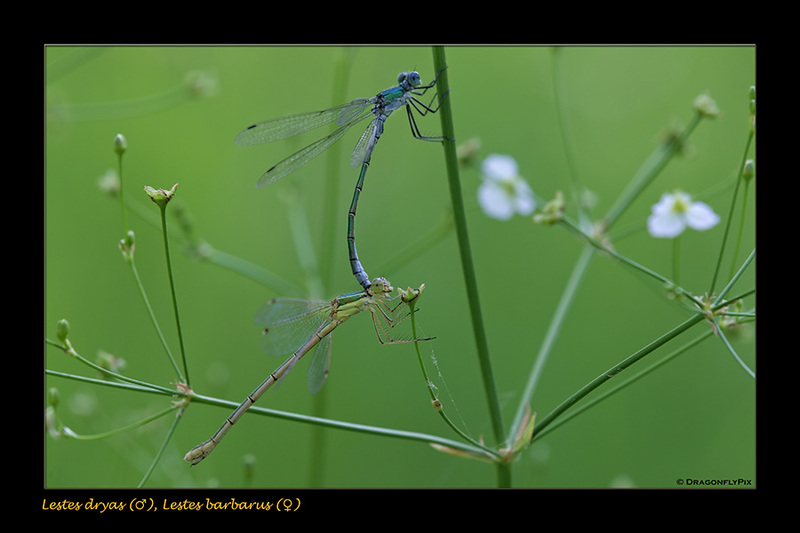 This photograph too was made in Italy in July 2007, again at a site where two damselfly species occur in very, very high numbers. And we would again suggest that it's this high population density which explains why a male Robust Spreadwing (Lestes dryas) should have grabbed a female Migrant Spreadwing (L. barbarus). Such mixed tandems are of course bound to break up sooner or later, when the two realise that the shape of his appendages (claspers) and her pronotum (i.e. the front edge of her dorsal shield) simply aren't a good enough fit.